We hope if you are not playing you will still attend the Club Tournament, BBQ and Presentations on Saturday April 27th, starting at 13.00 St Lukes. All the teams and schedule will appear in the news section. Welcome to the website of East Devon Mens Hockey Club offering excellent coaching, playing and volunteering opportunities. We will be bringing you all the latest news and events related to East Devon Hockey Club in Exeter, as well as keeping you informed of all the fixtures, results and match reports from our teams. Interested in joining our club as a player or maybe a volunteer? We would love to hear from you. The club welcomes hockey players of all ages and abilities. Our junior section has boys teams at under 14, 12 and 10 and girls at under 12 and under 10. We try to keep our fees and subscriptions affordable in our locality. 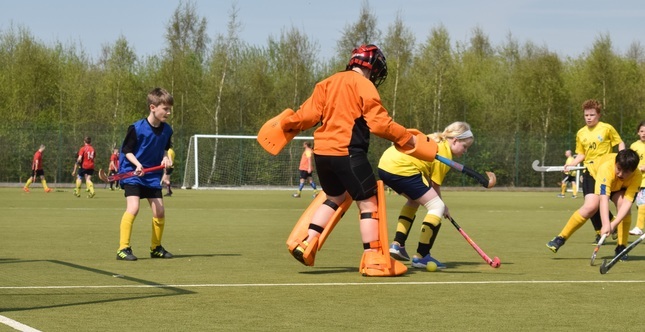 So regardless of whether you are a seasoned league hockey player looking for competitive hockey, in and around Exeter, or a newcomer to hockey, aiming to learn or improve your skills, East Devon Hockey Club is the club for you! © 2015 - 2019 East Devon Hockey Club. All rights reserved. © East Devon Hockey Club. All rights reserved. If you wish to withdraw consent from us holding your personal data please email eastdevonhockeyclub@gmail.com requesting your data be removed from the site. However, this will only be possible if you cease your membership.